Israel, as we all know, defines the strategy and the tactics of the West. From setting up covert ops of secret intelligence agencies, like the CIA, to predefining the ideas of the revolutionary parts of the population. The West possesses years of experience in “false flag” operations at the front of suppression of global terrorism. A “false flag” pins the crime to anyone but the real perpetrator. In other words it diverts guilt to a direction other than the original one. For example, Prime Minister Samaras abuses the above tactic to the extreme. He does nothing else other than to constantly divert the arrows of society against him, as if he's always under attack by invisible enemies that are never defined or when they are defined, they are defined as the ultimate evil (like the case of the Golden Dawn MPs). The government looks as if they are under attack from every side, but in reality they attack the People with brutal austerity measures. Revisionist historians have contributed in a very large degree to extract conclusions from the “unsolved riddles” of modern history. Below we are going to examine with detail examples of “false flags” and how they are applied in modern political life. To fully understand, you should watch the film production “Enemy of the State” (1998). Merge your conclusions from this article with your thoughts regarding the reality on your countries. Analysts that are investigating the murder of John F. Kennedy, have repeatedly exclaimed that their research was purposely led to a dead end. The investigation of this unsolved murder is interesting, because the report of the unofficial Warren Committee confirmed that the alleged killer, Lee Harvey Oswald, was a common paranoid man that acted on his own free will. Those that doubt the reliability of the report from the unofficial Warden Committee, believe that the theories of Oswald working for Fidel Castro or the Soviets, were products of expediencies, used to cover other larger ones. Oswald himself stated that he was just a scapegoat. A basic investigator of the case, Peter Dale Scott, claims that the murder of John F. Kennedy was an example of conspiracy, in order to cover the real instigators of the homicide. The real perpetrators of the murder purposely connected Oswald with Castro, the KGB and Khrushchev, aiming to lead the investigation somewhere else or nowhere. Another speculation is that a group of Cuban guerrillas that came to Chicago were indirectly connected to Robert Francis Kennedy. Scott claims that it was a case of “false flag” directed by the Israeli Mossad, to the point of accusing American nationalists groups for the murder. 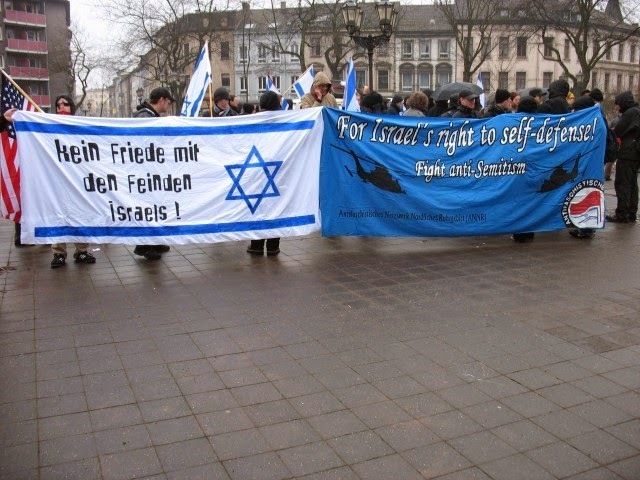 “False flags” were a tool for the Israelis to use ever since the founding of their state. Israel’s interest to interfere with the internal affairs was and is vital. 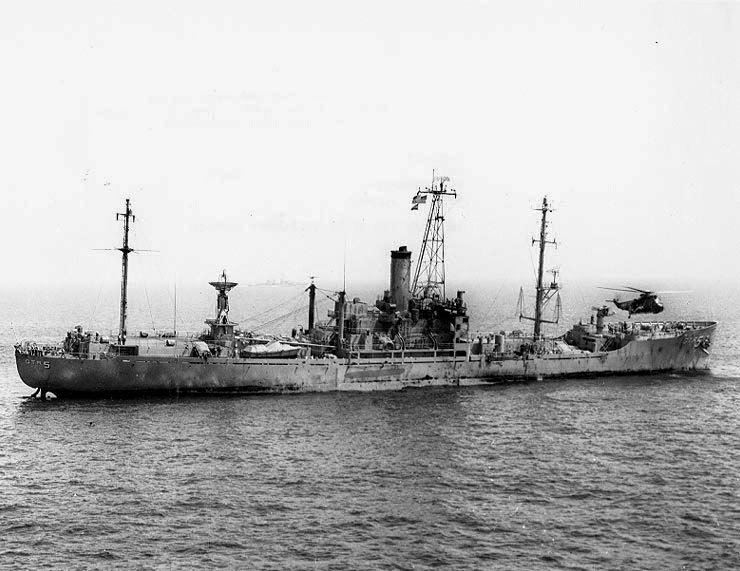 During the Six Days War of ’67, the research ship USS Liberty was under a coordinated attack by the Israeli forces. In another incident, an American reckon airplane that was flying over an installation in which the Israelis were secretly building a nuclear bomb, was under their attack again. 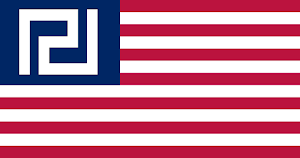 Israel, in the case of USS Liberty, tried to blame the Egyptian forces for the incident, while they projected the image that the Americans were on their side. In the case of the British oceanographic RMS Lusitania, which was attacked by a German U-boat and sunk in the Atlantic, this incident was the reason the USA joined WWI. Israel’s lawlessness, which had led to them initiating a secret nuclear program, was the reason President Kennedy was fighting an undeclared cover war with them, something that he paid with his life. On July of ’54, a series of bombing attacks took place in Cairo and Alexandria in Egypt. Among the targets were the USA’s information archives. In reality, those bombs attacks were committed by Israel’s military. Their ultimate goal was to convince the world and Egyptian President Nasser, that the attacks came from Muslim fundamentalists that were outraged with Nasser’s “pro-western” agenda. This covert op was codenamed “Susannah”. Israel’s objective was to destabilize Nasser’s relations with the USA and Britain and to force Britain to retreat from their bases in the Suez Canal (even though no British target was attacked despite the original plan). Israel’s Defense Minister, Pinchas Lavon, had devised the plan that had as its primary objective to completely crush the relations of the current Egyptian regime with the West. The “blind” bomb attacks were unleashed against British, American and Egyptian targets, based on the original plan. The “false flags” in this occasion were the flags of the Muslim Brotherhood, the Egyptian Communists and the Egyptian Nationalists. Even if they weren’t victims of the attacks, those that participated in the attacks committed “suicide” after they completed their mission. Those attacks cause a wave of arrests, demonstrations, riots and feeling of revanchism. The bombers were Jewish colonists in Egypt that acted on behalf of Israel’s secret services. The authorities in Egypt found out about the conspiracy and arrested 11 people. 2 of them were executed. The rest were condemned with many years of jail time. Israel’s role in the attacks was exposed and it was criticized by the world. Despite this, the Jews kept blaming their victims. Let’s see more cases of Jewish "false flags". 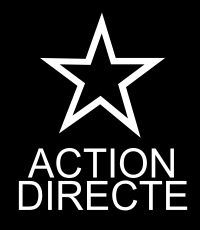 French organization Direct Action was accused for attacking the restaurant “Goldenberg’s Deli” in August 9 1982. 6 people were killed and 22 injured. Urban guerrilla Jean Marc Rouillan was active in the Mediterranean with the codename “Sebas” and appeared to have links with the Mossad. All the reports that existed documenting Rouillan and implicated him with Mossad have been since deleted. The Algerian national news service that had information by the French secret services claimed that Rouillan was directly connected with Mossad, enraging French officials. Said officials filed their resignations because of the cover-up that ensued. On October 3 1980, a synagogue in Paris was bombed, killing four and injuring nine. 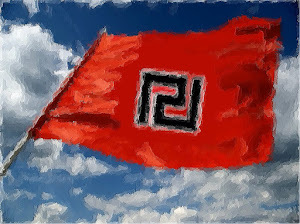 Initially the suspicions fell on the “far-right”. After some mature thought in the upper ranks of the French secret services, their suspicions turned on Mossad. In April 6 of 1979 the same Mossad team blew up the installations of CNIM (Constructions navales et industrielles de la Méditerranée) on South East France, where a consortium of French enterprises were building a nuclear reactor for Iraq. Mossad turned their suspicions on the polar opposite direction, citing “indications” after an anonymous call to the police declaring that the attacks was perpetrated by an environmentalist organization. In June 28 1978 Israeli agents bomb attacked a vehicle in Rue Saint Anne killing Mohammed Budia, an executive of the PLO (Palestine Liberation Operation). Immediately after the French Police received an anonymous phone call in which they were told that Budia was implicated in a drug trafficking ring and that his death was the result of a death contract by the underworld of Corsica. Later, investigations showed that Mossad had armed the killers. In October of 1976 the same criminal organization kidnapped two West German students in Paris. 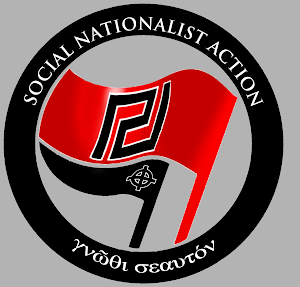 An anonymous phone call attributed responsibility to a National Socialist group that was based on the autonomous state of Bavaria. The truth was different. French authorities confirmed that the two victims had traveled to Israel by unknown means. Under the influence of drugs, they were tortured and forced to falsely confess that they were being accomplices to PLO activities. They were subsequently transferred to an Israeli prison. In February 1977, an American citizen of German heritage traveled to Paris for secret business meetings. He disappeared shortly thereafter. Police was informed that he was involved in a North Korean bribing case and “got what he deserved” after negotiations failed. French security service “Sdece” concluded that Mossad was again behind this abduction, because they believed he was selling information to the Libyan regime. Sdece was informed that the CIA, the former employer of the disappeared “tourist”, was responsible for informing Mossad about him. The Libyan Muammar Qaddafi was one of Israel’s biggest enemies. During Reagan’s presidency, the American media started spreading a rumor, according to which a group of Libyan guerrillas were planning Reagan’s murder. Suddenly, they discover that the source of this gossip was Manucher Ghorbanifar, Iranian former secret police (Savak) agent, who was in close contact with the Mossad. In reality, Mossad gave credentials for Ghorbanifar in Washington, so that he may freely spread false information, seeking to gradually deteriorate Libyan-USA relations and to prepare the public for the possibility of an, imperialist in nature, invasion of Libya. Mossad’s ruse was to directly blame Libya for their own false information with a "false flag", only to give full responsibility to Libya, with another "false flag". Mossad was also responsible for the bombing attack at the “La Belle” disco in West Berlin in April 5 1986, during which an American soldier died. Initial allegations attributed the attack to Libyan guerillas. But German officials were convinced that it was the work of Mossad that wanted to revive the “issue” of Libya. In April 18 1986, a 32-year old civilian from Jordan was arrested in London by the security agency. Previously, a girl that was arrested on a flight towards Jerusalem because an amount of C4 was located in a secret compartment of her suitcase, claimed that the 32-year old sold her the detonator. Leaked rumors claimed that he was hired by Mohammed al-Khouli, director of the Syrian Air Force Intelligence. The rumors also implicated the Syrian embassy in London. French authorities warned the British Prime Minister that Israel’s implication with the case was certain. On the 70s, King Hussein of Jordan received misleading information that the PLO was intending to murder him and take control of his nation. Enraged, he unleashed the infamous “Black September” against the organization and it was remembered by history as the Jordan Civil War. Thousands Palestinians living in Jordan were arrested, some of their leaders were tortured and the refugee caravans were diverted from Jordan to Lebanon. The new data that rose to the surface, after the murder of two Mossad secret agents in Cyprus, revealed that the whole thing was orchestrated by Mossad and leading it was Sylvia Roxburgh, who had brought over Hussein and convinced him the danger of an attempt against him was real. Her plan’s goal and by extension Mossad’s goal was to undermine the Arabian world. On 1982 when the PLO sent a message calling for a ceasefire in the area, the Mossad rushed to spread disinformation regarding imminent terrorist attacks in Israeli ones on the northern borders, in order to justify a military intervention-invasion in Lebanon. After many years, Israeli Foreign Affairs Minister Abba Ebam admitted that this rumor originated from Mossad. Another plan by Mossad was the attempted murder of the Israeli ambassador in London, Shlomo Argov. Again the PLO was blamed for the attack. How convenient must it have been for them the fact that after they searched the “perpetrators”, they found a list with names, their next targets, with the ambassador being the number one name on the list, and said list also had the address of the PLO in London! This "false flag" had two purposes: To eliminate any friendly feelings towards the Palestinians, and to charge the PLO with one more crime. A "false flag" not made in Israel but worthy mentioning is the attack on Turkey by "Syrian soldiers". A leaked conversation features a discussion between Turkish officials that would non-nonchalantly kill their own to fight on behalf of Israel's geopolitical interests. The USA, Israel and Turkey are confirmed to be on the same side. The evidence submitted over the course of year expose the actions of Mossad, that criminal organization and defender of the Jewish diaspora. Recalling the JFK case, there are some scenarios that, like we said, linked Oswald with Fidel Castro. The Jewish community of Cuba, ever since Castro came to power, “relocated” to Miami, USA. Afterwards they formed the “exiled resistance” of Cuba. The list of "false flag" operations goes on and on. It is our duty to keep our eyes and ears open before we rush to baseless conclusions about any important socio-political issue, a consequence of controlled and deficient media. The murder of Fyssas and the murders of comrades Fountoulis and Kapelonis were both executed under mysterious circumstances. The murders of our comrades in particular came with a declaration that impressed no one. Fyssas’ murder was abused to the extreme and led to the arrest of around 50 Golden Dawners. The funding of the Party stopped but it didn’t collapse as some would have thought. Then the murder of our two comrades only 50 meters away from the nearest police station tried to frighten us, but we stood strong again. Our theories that foreign agencies roamed Greece freely and murdered Greeks on both occasions seem more or less confirmed. Were those murders the result of Mossad’s intervention? Was this a "false flag" that worked catalytically for every direction? Qui bono ie. who benefits, is something you should always ask about terrorist attacks. Whether it be 9-11, USS liberty, killing of nationalists..The mainstream media is usually untrustworthy nowadays, sadly.